"e;Dear December"e; catapults you into a world of vivid imagery, promising to take your breath away with its short, story-like poetry exuding eloquent language and riveting beauty. "e;Dear December"e; captures the essence of the changing seasons; entailing the perils of a lost love; along with a variety of scintillating topics; making you chuckle at its slightly ironic and sarcas… tic brand of humor while captivating you with an original analysis and insight into everyday life. 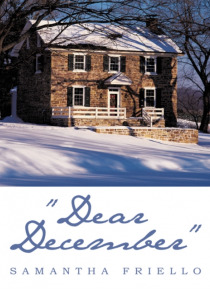 "e;Dear December"e; will keep you turning the pages with its bold and humorous depiction of everyday events; including what it takes to be a good cook, treating yourself to a long-awaited "e;spa day"e;, concocting a mouth-watering smoothie, the emotions experienced while in the throes of romantic passion, the sordid details of a dying love life, and the insight into relationships which have gone awry!So, take a look and become engrossed within "e;Dear December"e;, a poetry book written to compell you to embark upon a magical journey into a world of incredible insight and intrigue!